In 2000, there were a total of 17,663 crashes caused by drivers with these aggressive driving behaviors. If you have been a victim of aggressive driving, contact Ronald L. Bell & Associates today for help. This Web site, from the National Library of Medicine and National Institutes of Health, offers information on preventing motor vehicle crashes, stating that about every 12 minutes, someone in America dies from a motor vehicle accident. Discovering the causes of a car, truck, or motorcycle accident and uncovering all sources of liability are not simple or straightforward tasks. Dangerous road conditions, brake failure, careless drivers, distracted driving and or texting while driving, and traffic conditions can all be implicated as causes of a traffic accident. 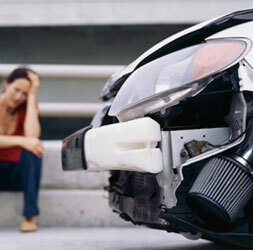 Lake County car accident lawyer Ron Bell has successfully handled a wide range of auto accident cases. The law offices of Ronald L. Bell & Associates, P.C. offers clients the benefits of Mr. Bell’s 35 years of experience as a trial attorney who negotiates and tries cases with one objective: to obtain the results that injured clients need and deserve after a car or truck accident. To schedule a consultation, call 847-495-6000 or email us at the law offices of Ronald L. Bell & Associates, P.C. after a car accident, SUV rollover or pedestrian hit and run accident. Motor vehicle accidents cause the loss of time, property, health and even life. Such accidents occur because of elements including driver error, negligence, manufacturing defects and dangerous weather. No matter what the specific cause or result, a crash can turn a normal day into a prolonged struggle. Speaking with a lawyer can help you sort out your rights, your options and your future. 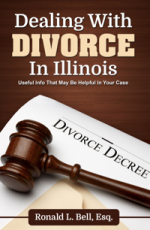 Contact a Lake county Illinois personal injury attorney for answers. When you have been in an auto accident, you may have a sense of who caused it. Issues of fault, however, can be complicated by who acted when and which laws governed the situation. If the other driver was negligent, you may have to prove that the driver breached a duty of care to you and that the breach caused your damages. The assistance of an attorney can be immensely valuable at this time, whether you are battling an insurance company, seeking compensation for your injuries or defending yourself in court. Sources of information on the accident include police reports, witnesses and the condition of the vehicles involved in the accident. They could reveal what happened and why. Sometimes the at-fault driver is more than merely negligent; he or she may have acted recklessly or even intentionally. A reckless driver acts with conscious disregard for the probable consequences of the driver’s actions. Road rage incidents often involve reckless behavior, and they can escalate into intentional behavior. Road rage in particular can be extremely dangerous, leading to injuries and criminal charges. Generally, aggressive drivers are a serious threat to safety. Speeding and taking other risks contributes significantly to highway and other fatalities. In the US, someone dies every 30 minutes in an alcohol-related crash; someone is non-fatally injured every two minutes. Drunk driving can lead to both criminal charges and a civil lawsuit. Additionally, the business that sold alcohol to the drunk driver may be held liable if it served the driver when he or she was visibly intoxicated. This, however, does not take any responsibility from the driver who drove while intoxicated. If you have been in an accident involving alcohol or drugs, seek the help of an attorney who will explain your legal options. Sometimes, no matter how carefully you drive, you cannot avoid an accident. In certain cases, a vehicle’s manufacturing or design defect causes the accident or makes it worse. This might happen if, for instance, the brakes on your car fail or the airbag does not deploy when it should. The law of products liability applies in this situation, protecting consumers when products create an unreasonable risk of harm. If a product defect caused your injuries, you may have a case against the designer, manufacturer or distributor of the product. Another responsible party could be a mechanic who improperly repaired the car that caused the accident. Both the mechanic and the mechanic’s employer could be liable in such a case. Finally, poorly maintained roads, messy and confusing construction, unclear signage, improperly designed roads and similar problems can contribute to an accident. Government entities are typically responsible for the roads and highways; they may, therefore, be liable for accidents caused by the above factors. Special rules, however, apply to lawsuits against government entities; a lawyer will be able to explain them in detail. It is important to take prompt action when you have been in a motor vehicle accident. This will help you preserve your rights and seek proper compensation. Contact an experienced personal injury attorney for help as soon as possible.